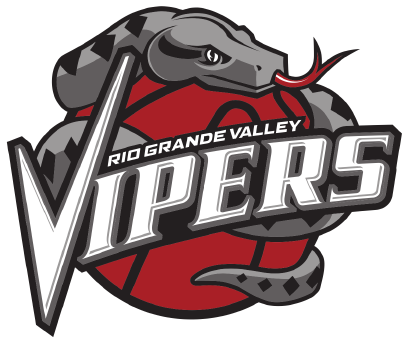 The 2017-18 RGV Vipers roster is starting to take shape, with three players from the Houston Rockets and two from the Denver Nuggets joining the team between Monday and Tuesday. The Vipers season begins Nov. 3, with the team’s home opener following on Nov. 6. The Rockets announced on Monday that Chinanu Onuaku and Troy Williams had been assigned to the Vipers. On Tuesday, Houston announced that guard Briante Weber had signed a two-way contract and would be joining RGV. Also on Monday, the Denver Nuggets assigned Tyler Lydon and transferred Monte Morris to Rio Grande Valley. Onuaku, a 6-foot-10 center, appeared in five games for the Rockets last season, averaging 2.8 points and 2.0 rebounds per game. He was a regular in the Vipers lineup for most of the 2016-17 season, averaging 13.6 points, 10.6 rebounds and 1.6 blocks per game. Williams was a late addition to the organization last year, signing a 10-day contract on March 10 before signing a full deal on March 20 and a multi-year contract on July 25. In six games with the Rockets, the 6-foot-7 forward averaged 9.7 points and 4.0 rebounds per game, and in 10 games with the Vipers he averaged 19.8 points, 5.3 rebounds and 2.6 assists per game. Weber, who played at Virginia Commonwealth University until 2015, has averaged 3.4 points, 1.9 rebounds and 1.6 assists per game across 27 NBA games in two professional seasons. The 6-foot-2 guard had short stints with the Memphis Grizzlies, Miami Heat, Golden State Warriors and Charlotte Hornets. He was a standout in 31 games with the D-League’s Sioux Falls Skyforce last season, averaging 16.5 points, 7.5 rebounds, 7.4 assists and 3.3 steals per game. Weber is one of Houston’s two allowed two-way contracts, with the other slot filled by Demetrius Jackson, a 6-foot-1 guard. Two-way players can spend no more than 45 days on their organization’s NBA roster. Morris, a 6-foot-3 guard, is on a two-way contract with the Nuggets after the team selected him No. 51 overall in this year’s draft. Morris played four years at Iowa State, averaging 16.4 points, 6.2 assists and 4.8 rebounds per game as a senior. Lydon, a 6-foot-10 forward, was the 24th overall pick in the NBA draft by the Utah Jazz before being traded to Denver on draft night. He played two seasons at Syracuse, averaging 13.2 points and 8.6 rebounds per game as a sophomore in 2016-17.